Recognized by Forbes as one of 2013 best young entrepreneurs on its list of 30 under, Cosmas Ochieng is an international leader in clean energy innovation. The 26-year-old Kenyan native is founder of Eco Fuels Kenya, an East African company which produces organic fertilizers and green biofuels from renewable indigenous sources. Since the 2000s, many countries across Africa have had a growing interest in biofuel production due to policy priorities concerning economic development and energy security. The array of socio-economic and environmental impacts from the rise of biofuel production and use in Africa has included everything from energy and food security to deforestation, biodiversity loss and social conflict. Cosmas’ leadership aims to set a positive example for others in this novel and controversial field. Cosmas Ochieng, listed by Forbes: one of best young entrepreneurs in Africa. Having always been passionate about innovative energy solutions using environmentally friendly processes and natural resources, Cosmas decided to attend Kenya Polytechnic University College and earned a Bachelor of Applied Science in Food Science and Technology. Before EcoFuels Kenya, Cosmas worked as the General Manager for Help Self- Help Center, aiming to improve the quality of forests-adjacent communities in Kenya by promoting innovative economic opportunities in natural resource utilization and sustainable agriculture. During his time there, the organization was the third winner of the Global Village Energy Partnership in Small and Medium Enterprises for Renewable Energy Programs. In 2010, Cosmas received the Making Market Work for the Poor award in Malawi from a forum by VSO, an international development organization. Cosmas simultaneously worked on several other projects while working at Help Self Help Center, some of which involved using the Croton Megalocarpus tree, a naturally abundant local native tree that grows extensively across 5 countries of East Africa. The tree’s nuts are an ideal material for organic fertilizers and biodiesel. The tree currently has little or no commercial value, because the nuts are inedible, and also because its timber is of little use, except as charcoal. This local tree produces a nut, which is the basis of Cosmas’ products without any waste. Since it is an indigenous and abundant species to East Africa, this tree is ideal for the production of biofuel without competing with the food industry. Also the production process can be done without interfering with the food chain. 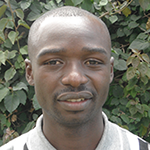 Cosmas has been the general manager of Eco Fuels Kenya for the past two years. He is involved in planning, monitoring the entire production system, and quality control. As a recommendation on LinkedIn, Emmanuel Botchwey, founder and CEO of Development Publication, praises the young entrepreneur, by stating that Cosmas “believes in new ideas and is so open to team work and criticism as he use says; criticisms are recipes for development.” Cosmas uses his enterprising spirit to take smart risks to bring innovation to East Africa through Eco Fuels Kenya. Their mission, as stated on their website, is to “create value for its customers, suppliers, and other stakeholders in a sustainable and responsible manner with zero waste and no pollution.” Eco Fuels Kenya states on their website that they also use the nuts and seeds of the Croton Megalocarpus tree. The organization’s main focus is its impact and sustainability on the ecological and community environment. The oil from the tree nut is used as a replacement for diesel fuel in engines such as water pumps and generators, which are invaluable to local economies in Kenya that need reliable energy not available from local power grids. Eco Fuels Kenya’s organic fertilizers not only repel pests but also help repair the soil from damage done by toxic chemical fertilizers and additives. Cosmas is not only concerned about the company’s ecological impact, but also local communities’ sustainability. The company posted on their website that they use a trusted Seed Collectors Network of rural community members living in the dense forests surrounding Mt. Kenya where the seeds can be found. The collectors, nearly all of whom live on $2 per day or less, create additional income for their families gathering and delivering the nuts to centrally located collection centers. Once collected, the seeds are weighed and the collectors are paid instantly through Kenya’s mobile money system, M-PESA. The company also provides additional income to families by contracting with over 30 local stores to sell their products on a consignment basis, which is at no cost to the resellers for holding their products. With the approval of the Ministry of Agriculture, Community Forest Associations, women’s groups and farming cooperatives, Eco Fuels Kenya also holds educational meetings for many rural communities surrounding Mt. Kenya about how to use their soil conditioners, pest management products, and animal health concentrates. Working with the Kenya Climate Innovation Center, Eco Fuel Kenya desires to be an example of profitable, yet, sustainable business for the region. By focusing on local materials, manufacturing, workers and consumers, the company is an illustration for others who desire a model that benefits both the company and local communities. Cosmas and Eco Fuels Kenya are looking at the bigger picture of environmental sustainability and intentionally impacting both the local economy and ecology of East Africa.